Avast Secureline offers both free (7-day trial) and paid versions. They use strong 256-bit AES encryption and you can choose from OpenVPN, IPSec & IKEv2 protocols. Their server speeds are top of the line, they even landed in the top 10 of our fastest reviewed VPNs, but still fall behind the top providers like Express and NordVPN. Is this a decent provider? 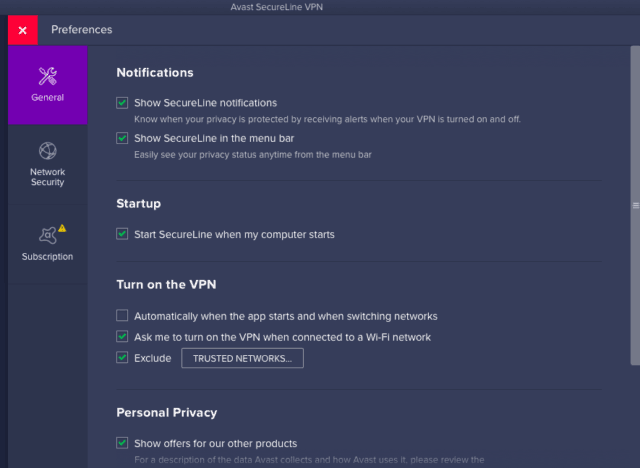 Let’s find out in this Avast Secureline VPN review. Avast Secureline was launched in 2014 in Prague, Czech Republic. Although the company, Avast, has been around for a while – since 1988. Avast SecureLine works on up to five devices and features no bandwidth limits. As for TOR, customer support mentioned the VPN is not compatible with it. It’s worth mentioning that Avast provides ONLY 55 servers in 34 countries. That’s a really low number of total servers compared to other VPN providers, like NordVPN and ExpressVPN, that both have over 3,000 servers. 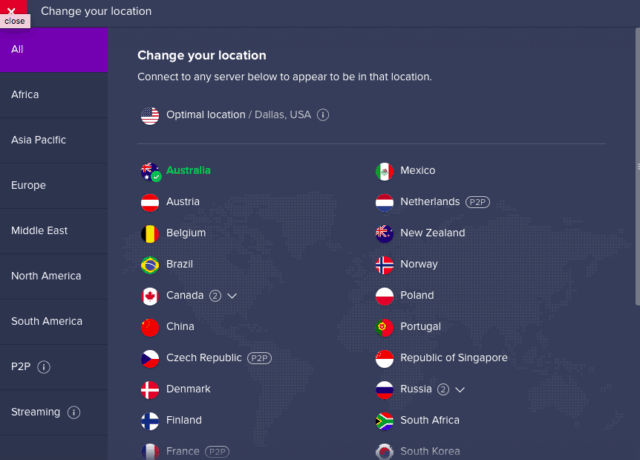 The only countries that Avast has more than one server location are Canada (two cities), Germany (two cities), Russia (two cities), Spain (two cities), the United Kingdom (two cities), and the United States (16 cities). 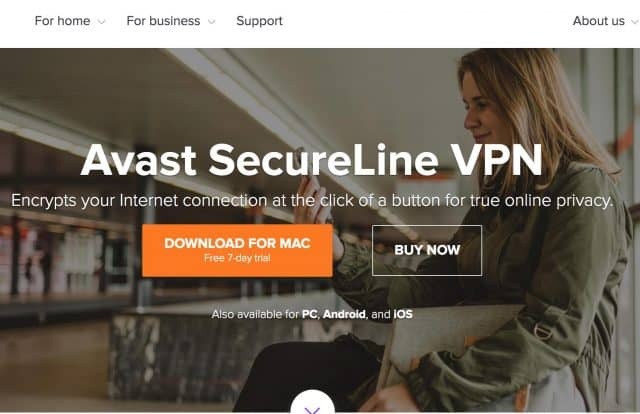 Avast SecureLine does offer a kill switch, which is perfect for protecting your privacy if your connection is ever lost. Kill switches are a critical safeguard or backup plan. When they detect your network connection is about to terminate, they’ll automatically kill your current session, too. That helps to keep whatever you were doing private and away from prying eyes. If purchased alongside your subscription, their MultiDevice service allows up to 5 simultaneous conncetions. Avast brags on their homepage about how fast their VPN service is. So now it’s time to put them to the test – literally! I ran speed tests of their service on servers in the US and the Netherlands to see how they stack up against the competition. These are pretty fast speeds in comparison to some other VPNs. They’re not the fastest, but not the slowest, either. Avast SecureLine offers two protocols, IPSec and OpenVPN on UDP with AES 256-bit encryption. This is military-grade encryption. The “256” number refers to the encryption strength. The short story is that 256-bit is the best in the business right now. It’s considered virtually ‘brute-force proof’ by many of the top government agencies and security professionals around the world. Avast SecureLine also offers DNS leak protection. This handy little feature makes sure that none of your personal data might ‘leak’ outside the VPN connection without you realizing it, divulging your browsing activity or true physical location. 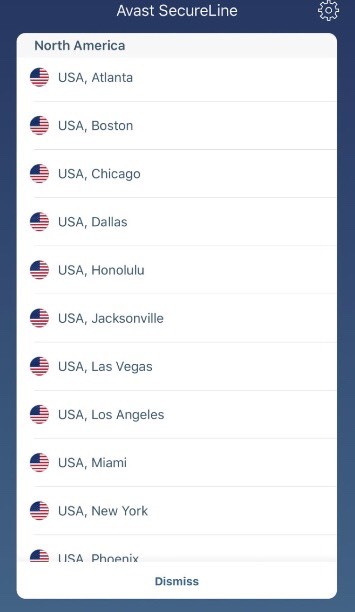 SecureLine VPN allows peer-to-peer connections through our data center locations listed below. Avast SecureLine claims that they keep no data logs of your online activity. However, they do store connection logs, which show the time you connect or disconnect to a server, how long you are connected, and how much bandwidth you use. Overall, I’m a fan of Avast’s security. Just be aware that some logging, like most other VPN services, is happening in the background. Avast Secureline uses a ticketing system and has a number you can call for a free diagnosis. They also offer a knowledge base full of help articles, tons of support pages, and a forum. Since the knowledge base is searchable, users can easily find what they need by typing in a few basic keywords. 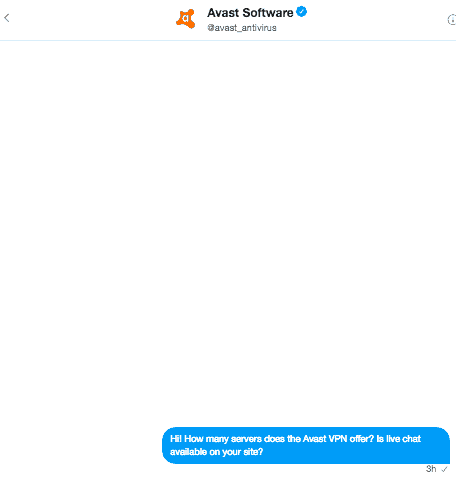 That being said, Avast doesn’t offer a live chat support option and I wasn’t able to find a customer support email for the company. Both developments had me a little bummed. They do, however, have a Twitter account where users can send in direct messages. I sent one in to test out how responsive their social support is. More than three hours later, I still hadn’t heard back. The good news is that if you need support fast, Avast’s phone support is available 24/7. The question, of course, is how truly fast was it? I called in to see if it was an automated service or if I would actually receive help from an actual human. Initially, there is an automated message that directs to select a number so that Avast can direct your call to the right person. This is a huge step above live chat, in my opinion, because you have the option of hearing a live person’s voice for assistance. I’ve tested “live” chats on numerous VPNs and sometimes it took them hours to get back to me (hint: VPNArea). No live chat or email options were disappointing. The Twitter alternative was interesting, but so far has proved to be too slow. However, they saved it in the end with a quick, responsive call center. Avast’s VPN software is surprisingly sleek and simple. All it takes to connect to one of Avast’s servers to hide your IP address is the click of a button. 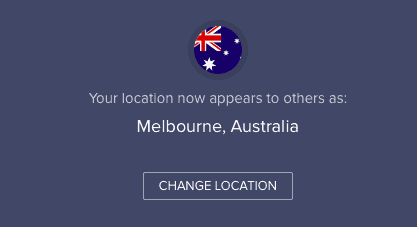 And changing your location is as easy as selecting a country off of the server list inside of the user interface. There’s even a “Preferences” menu where you can customize Avast to better suit your needs. For example, you can set it to automatically connect every time your computer starts up. That way, you’re always protected. Avast also offers a mobile app that is available for both iPhone and Android. The usability of the mobile app is just as sophisticated and simple as using the service on a PC or Mac. Much like the desktop interface, all it takes to connect to a server is just one tap. And changing server locations takes little to no time at all. However, the free mobile trial requires users to hand over their credit card information to get started, unlike the desktop version. So if you’re only looking for an initial test drive of the service, you might want to do it on your good old fashioned desktop instead of mobile. VPN’s create a secure tunnel around your internet connection. This encrypts your traffic so no one can bust inside. But more importantly, it creates a seal around your IP address and hides your true location. That way, no government agency can get you in trouble for looking at what you’re looking at while sitting where you’re sitting. Unfortunately, these connections aren’t always as secure as they seem to be. For example, a DNS or WebRTC leak can cause your IP to be revealed without you even realizing it. The good news is that we found the Avast Secureline connection to be leak-free. That’s the good news, though. Which means there’s also a little bad news we found when running these security tests. But we’ll tell you about those down below in the next section. A VPN might protect you from inadvertently downloading malicious files. But what happens when the very VPN you’re using to protect you does their own malicious injection? For example, before firing up the VPN client, we ran their installation files through VirusTotal.com. Nothing found, it’s as clean as it gets. It’s also important to note that Avast SecureLine can’t be set up on routers to provide additional protection. This VPN appears to be basic protection for PC and mobile devices only. While this won’t be a big deal for most users, it’s something to keep in mind. Installing a VPN on a router is a great way to protect all of the devices in your house without having to remember to sign in every time you log on. It’s especially useful if you want to protect gaming consoles, IoT devices, smart TVs, and lots of phones and tablets. This isn’t a deal breaker, but we’d prefer the possibility of using Avast with a router. There’s always an ongoing battle between VPNs and Netflix—and Avast is losing the battle at the moment. Netflix knows when you’re using an Avast connection, and won’t let you stream movies or shows. Of course, it’s possible that this could change. 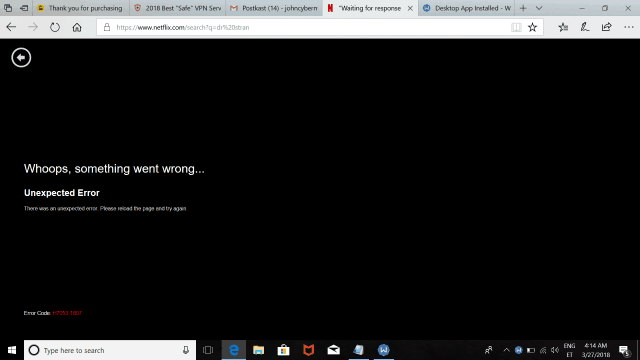 VPNs are always working to stay ahead of Netflix’s blocking capabilities. But for the moment, you’ll need to use a different VPN if you want to watch Netflix. Avast is based in the Czech Republic. While the country isn’t part of any of the major intelligence-sharing agreements that we discuss on a regular basis, it does cooperate with the Five Eyes agreement countries. This doesn’t mean that Avast will be sharing your data with intelligence agencies in the US and the UK. But the fact that the Czech Republic is friendly with these countries and willing to cooperate on intelligence sharing makes some people nervous. We don’t have any evidence that Avast has been sharing data with Five Eyes countries. But we aren’t especially comforted by the Czech Republic’s cooperation with them. 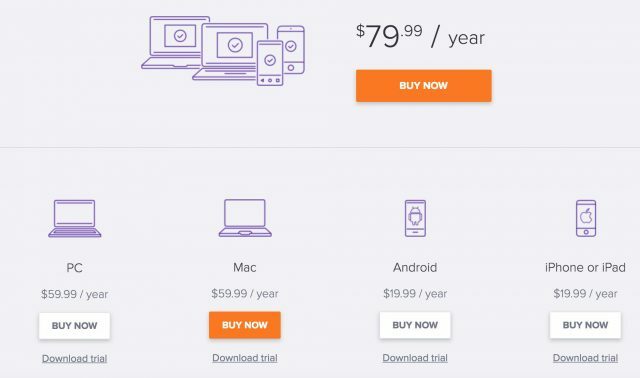 Rather than offering the standard one-month, three-month, six-month, or year package like almost every other VPN service I’ve reviewed, Avast’s pricing is based on the device you want to use it on. Each package is the same as far as access to features go, though. Access to 5 devices is $79.99 per year. This comes out to $6.67 per month or about $16 per year for each device. This plan appears to be the best value. Access to Avast SecureLine for your PC or Mac is $59.99 per year. This comes out to about $5 per month for access to only one device. 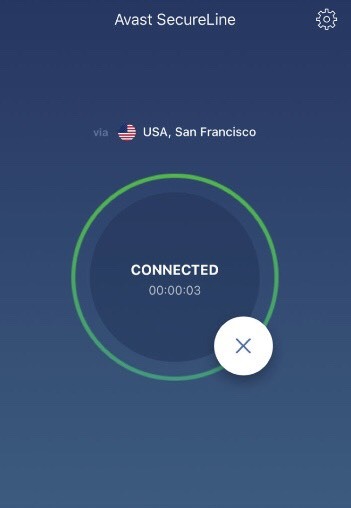 Access to this VPN for Android, iPhone, or iPad is $19.99 per year. This plan comes out to be $1.67 per month for access to one mobile device. One of the great things about Avast SecureLine is that they offer a free 7-day trial with no strings attached. You don’t have to enter your payment information to have full access to Avast SecureLine to decide if you want to use it. The payment options, much like the pricing, are a bit lacking in comparison to other competitors who offer other payment methods such as Bitcoin, Perfect Money, etc. Avast’s refund policy reveals a standard 30-day money-back guarantee if you purchase through their “online retail stores” or through Google Play. If you go through a reseller or iTunes, for example, you’ll have to go back to them for refunds (and the terms might differ). The only potential catch with this refund comes down to your VPN usage during the thirty-day period. If you upload/download over 10GB of data, or if you connect over 100 times, you will not be eligible for a refund. So make sure you don’t over-use the service during that initial month. 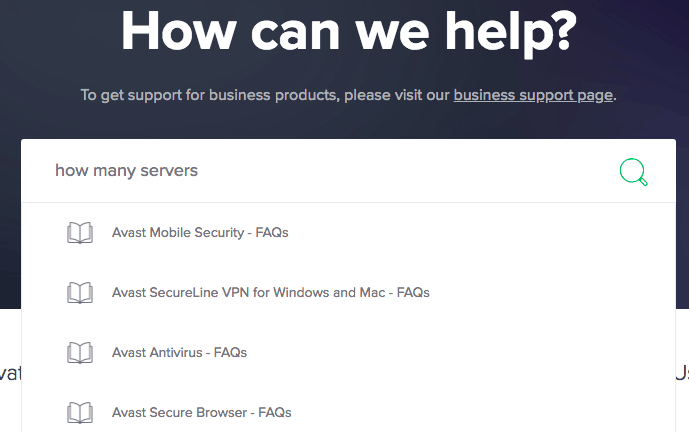 Do We Recommend Avast Secureline? After reviewing all of the evidence, I don’t recommend using Avast’s VPN service. The company provides a reasonably good free antivirus solution. Their VPN is incredibly easy to use. And the call-in customer service option was great! But in the end, there are just too many issues to overlook. The fact that it doesn’t work with Netflix is a big one. Not everyone wants to stream over a VPN, but it’s a very common use for private networks. Czech jurisdiction, the lack of router support, and pricing that’s easy to beat all combine to make this a VPN that’s not at the top of my list. It’s certainly not a bad VPN. It’s very fast, supports torrenting, and only keeps connection logs. And we found that the connection was leak free for the most part. But you can get those features without paying as much, and it’s easy to find a VPN that supports Netflix. All in all, Avast isn’t a bad choice, but it’s certainly not the best one. For me, there are better alternatives for Avast VPN. I have used this VPN for the past 3 months and I can confirm it works with Netflix (at least US). The speed is normally about 70% of your connection speed, which is still decent. However their pricing is, in fact, strange and is expensive compared to other VPNs, so I wouldn't recommend it. I was really disappointed with this service. I cannot properly watch videos because of the low speed. Loading standard YT videos takes 15 minutes. I mainly decided to use this VPN because it comes from a company that I already knew from it’s excellent computer security software. I started using the VPN and it’s simple and friendly. It’s quite useful when I want to surf safely on the network, only when I start it sometimes it takes a while to open the program but it doesn’t slow down the internet. In particular I like the service, one of the features that I liked the most is that I can use one license on several devices of the same type at the same time. I sincerely recommend it as well as the antivirus of the same company (Avira). I think it’s a great VPN, I mean, the simplicity of the interface, the configuration and all the necessary. I’m not seeking an ultra anonymous VPN, just some security on my web surfing. When I configure the VPN to automatically connect to wifi, sometimes it does not get online and just crashes. This has happened 4 times so far. FrootVPN is bit pricier than Avast but it totally worth very penny.